At the end of last year I received a request from PacktPub to review one of their books – JQuery 1.3 with PHP written by Kae Verens. There were some problem with delivery of the paper copy of the book, so finally I got an electronic copy. The book is separated into 10 Chapters. This entry was posted in General on February 16, 2010 by Nik Chankov. Few weeks ago I’ve been contacted from Packt Publishing in order to review their new book Magento Beginners Guide and because I had experience with that e-commerce platform, I decided to accept the offer. Magento Beginners Guide is a new book that covers the process of building an online store using the Magento e-commerce solution. It’s written by William Rice and is focused on the main key features of Magento to setup a unique on-line store and customize its appearance with the help of examples. This book is for anyone who wants to create an online store using Magento. If you are a non-technical person and are discouraged by the complexity of this powerful e-commerce application, this book is ideal for you. 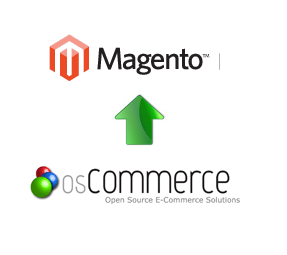 Magento is the world’s most evolved e-commerce solution which runs on the Apache/MySQL/PHP platform. From one installation, you can control multiple multilingual storefronts, all sharing customer and product information. Magento’s templates, themes and extensions gives the possibility to create an unique and powerful solution for e-commerce. The book provides a step-by-step approach to building a simple and effective on-line store. It covers the key features of Magento that will help you get your store up and running. It guides you through the installation, configuration, adding categories and product attributes, filling your store with products from various types, payment configuration, maintaining relationships with your customers, and fulfilling orders. Readers will be able to present and sell products in groups, sets, they can offer discounts based on quantities along with accepting various payments such as PayPal, CC, Checks, Bank transfers, Payment on delivery and many other payment gateways. Along with connecting to shippers such as UPS, FedEx, and USPS they will learn to apply tax rules to different shipping addresses and different types of products. The publisher kindly provide two chapters from the book, so you can get a clue of the style in it. How to buy that book? This entry was posted in External Sites, General and tagged Beginner, Book, Guide, Magento, Review on October 6, 2009 by Nik Chankov. Have you ever wondering how to find MAX, MIN or AVG of a database table column in CakePHP way? Well I haven’t since yesterday. The solution is quite simple and obvious. Lets say you want to show the average views per post (in the example we have the views field in every post). This entry was posted in CakePHP, Development, General, Labs, PHP and tagged aggregation, CakePHP, HowTo, SQL on September 10, 2009 by Nik Chankov. My first approach for this post was to explain my first impressions from Magento Commerce, but I decided to explain how I managed to create a Retail/Wholesale solution required for a current project. The client want to have a shop where regular customers to be able to see products with their retail price, while Wholesale partners to see the prices with ? discount. The extra condition: retail and wholesale prices hasn’t mathematical dependency. So, a product could be $100 for retail and $50 for whole sale and another one could be $60 retail and $50 wholesale. And of course retail users should not be able to see wholesale prices at all. Basically, I will explain what I did step-by-step, but in order to understand what I mean, you should be familiar with the basics of Magento. in System->Configuration->Catalog->Catalog->Price set drop-down to Website. Now you could enter prices per store/website and they could be totally different. Both plugins need to be activated for wholesale only. Because they are activated when they are installed, you need to disable them for Default/Retail website and to leave enabled to Wholesale. You should know that distinction between sites in System->Configuration is done from top left corner of the config window. Second one: System > Configuration > Customer > Customer Activation. Now wholesales need to have separate urls, so regular users will access http://domain.com/, while wholesale will access http://domain.com/wholesale/. I found this solution in the Magento Forum: Thread. From System->Configuration (select Wholesale website)->General->Web and change the paths by adding wholesale/ (it’s also mentioned in the forum thread). When adding products, you should mark them visible for both sites. This is done from Product page->Websites tab. That’s it! Now on http://domain.com/ users will see full catalog, they can login without Admin approval and prices will be retail, while on http://domain.com/wholesale only users registered as wholesale and activated from admin will be able to see catalog with wholesale prices. This entry was posted in Development, General and tagged Develoment, Magento, Migration, OsCommerce on April 17, 2009 by Nik Chankov.